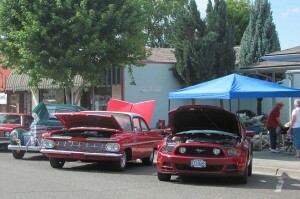 There were seven club members who travelled to Enterprise’s 1st car show. Wallowa Valley has many unique cars that we haven’t seen at any other car show. Following the show several of us decided to try out the Lostine Tavern for an early dinner – some of us won’t be able to go there in September with the rest of the club for dinner. Even though no one won any awards we had a great day of visiting and sharing stories.